With a love of food and travel, George and Linda found their calling in Tuscany and then decided it was time to introduce their friends to San Miguel de Allende, Mexico. And, now the adventure continues in Havana, Cuba. George, a pilot and Linda, a school teacher, spent their summers traveling the world in search of local customs. “I never wanted to be a tourist--I wanted to be a local,” says Linda of her years of travel. “I found myself bringing home souvenirs from local grocery stores.” During their journeys around the world, George and Linda were lucky enough to live in many different cultures, but Cuba was not on the list of travel places until recently. “We could barely wait to visit Cuba when the travel ban was lifted and it was amazing” says George. So, with their new friends in Cuba, George and Linda were off on an adventure to Cuba. This allowed them to experience "the real" Cuba where they were meeting with neighbors and eating with friends. “I knew this was an amazing place on day one and I want to share my experiences and passion with our guests,” says George. "It is a window into a hidden culture and an amazing opportunity to learn," says George. "I feel very excited and fortunate to have the opportunity to visit such a beautiful place where the people welcome you and offer you such hospitality," says Linda. "We fell in love with the people, the history, the feeling of adventure, and the sense of community immediately. We knew we had to find a way to share our experience with our friends and guests." 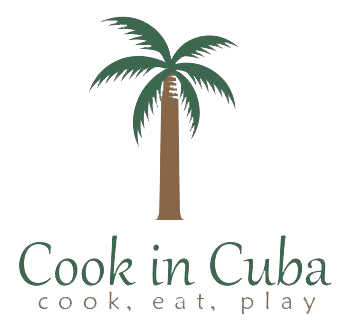 And so, Cook in Cuba was born!